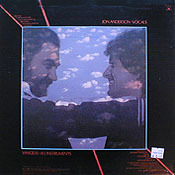 I n theory, the collaboration between Yes vocalist Jon Anderson and electronic composer Vangelis should have been a thing of beauty. In theory. In practice, well, it's not quite the united vision of Heaven that some might have hoped for. True, there are moments when Anderson and Vangelis weave delicate magic, but much of Short Stories suggests that the pair didn't have a clearly articulated game plan to go by. So Vangelis spins his gossamer web behind Anderson's meandering vocals, in synch and out of it. The single "I Hear You Now" is a fine amalgam of their styles, "Love Is/One More Time" and "Far Away in Baagad" nearly so, but the rest of the record simply dissolves. 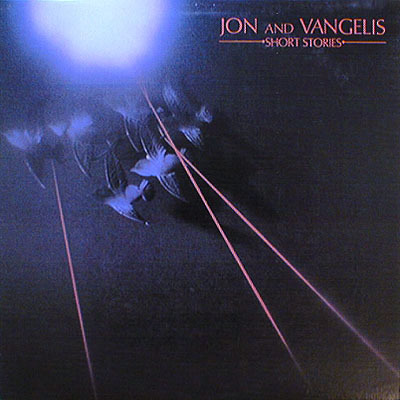 For the most part, Jon and Vangelis never did equal the sum of their parts -- Olias of Sunhillow, China, even Tormato are more likely to please. Read the review at All Music Guide. Composed by Jon Anderson and Vangelis. Arranged by Vangelis.